NOTE: Refer to the Exploded View if needed during this procedure. 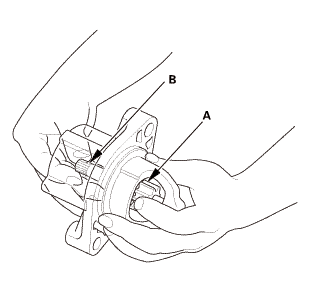 Inspect the armature for wear or damage from contact with the permanent magnet. If there is wear or damage, replace the armature. 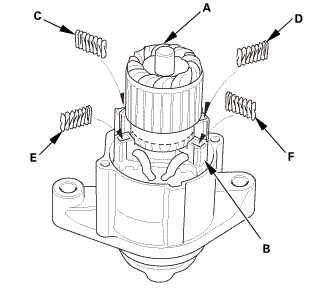 Check the commutator (A) surface. If the surface is dirty or burnt, resurface it with an emery cloth or a lathe to the specifications in step 3, or recondition with ＃500 or ＃600 sandpaper (B). 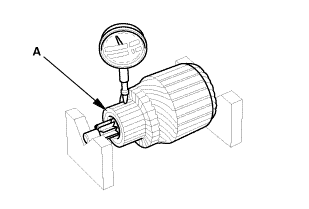 Check the commutator diameter with a digital caliper or dial type caliper. 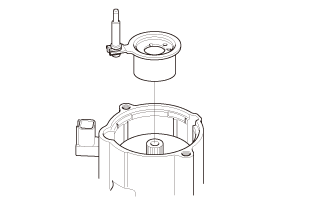 If the diameter is below the service limit, replace the armature. 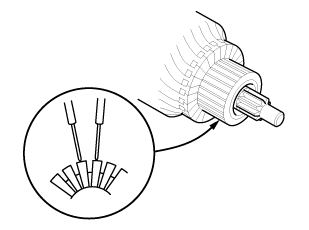 f the commutator runout is within the service limit, check the commutator for carbon dust or brass chips between the segments. 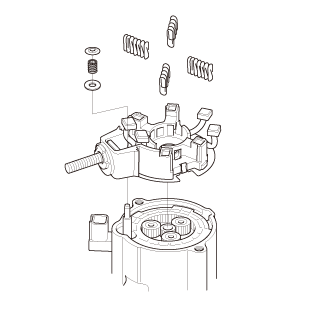 If the commutator runout is not within the service limit, replace the armature. 0.02 mm (0.0008 in) max. 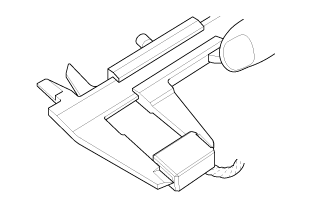 Use a digital caliper or dial type caliper to check the mica depth (A). If the mica depth is below the service limit, replace the armature. Use an ohmmeter to check for continuity between the segments of the commutator. 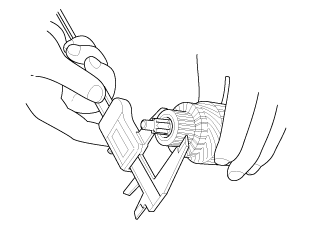 If there is an open circuit between any of the segments, replace the armature. Place the armature (A) on an armature tester (B). 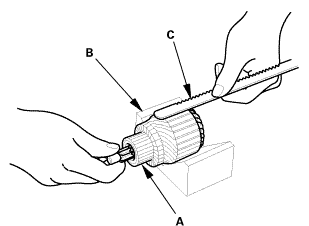 Hold a hacksaw blade (C) on the armature core. If the blade is attracted to the core while the core is turned, the armature is shorted. Replace the armature. 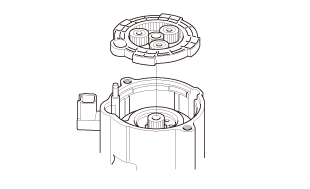 Use an ohmmeter to check for continuity between the commutator (A) and the armature coil core (B), and between the commutator and the armature shaft (C). If there is continuity, replace the armature. 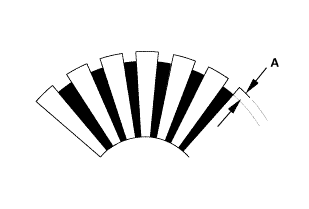 Check for continuity between the (＋) brushes (A) and the (－) brushes (B). If there is continuity, replace the brush holder assembly. Measure the brush length. If it is shorter than the service limit, replace the brush holder assembly. 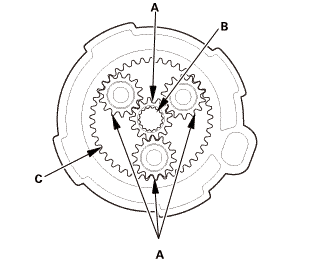 Check the planetary gears (A), the armature shaft gear (B), and the internal ring gear (C). Replace them if they are worn or damaged. Remove the ring gear holder. 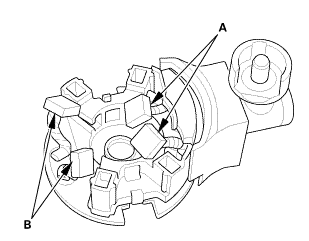 Hold the drive gear (A), turn the gear shaft (B) counterclockwise. Check that the drive gear comes out to the other end. 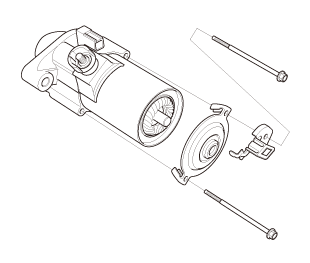 If the drive gear does not move smoothly, replace the gear cover set. 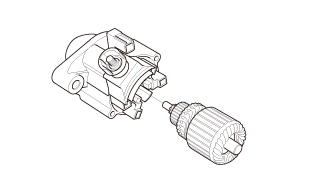 Hold the drive gear, turn the gear shaft clockwise. 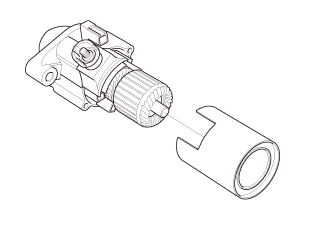 The gear shaft should turn freely. 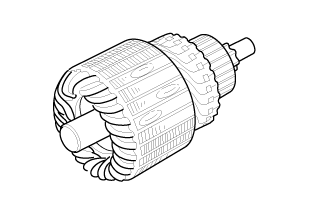 If the gear shaft does not turn freely, replace the gear cover set. 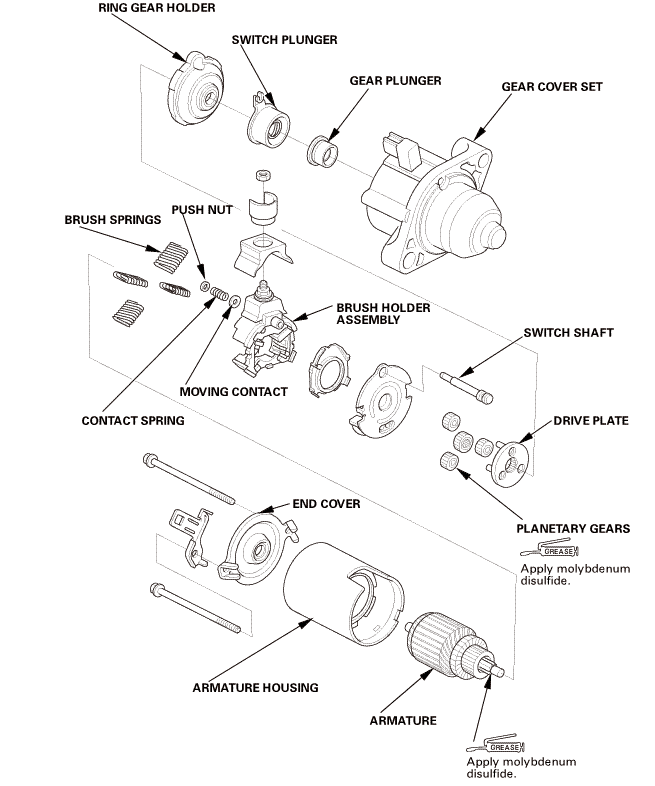 If the drive gear is worn or damaged, replace the overrunning clutch assembly; the gear is not available separately. Install the ring gear holder. 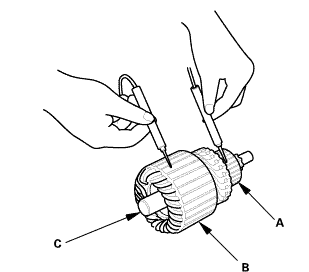 Install the brush into the brush holder, and set the armature (A) in the brush holder (B). NOTE: To seat the new brushes, slip a strip of＃500 or ＃600 sandpaper, with the grit side up, between the commutator and each brush, and smoothly turn the armature. The contact surface of the brushes will be sanded to the same contour as the commutator. 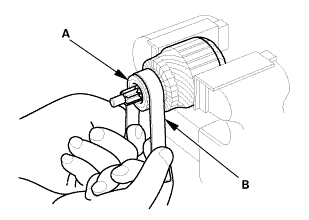 While squeezing a spring (C), insert it in the hole on the brush holder, and push it until it bottoms. Repeat this for the other three springs (D, E, and F).